When you decide to up your digital marketing game, you’ll probably want the best of the best as far as information goes. Podcasts are a fantastic way to absorb information; listen to them while cleaning or working out. They’ve really taken off in the last few years because they’re packed full of helpful, useful, and (usually) accurate information. I’ve rounded up the Top 5 Marketing Podcasts to help you up your impact, reach, and knowledge and why they’re my favorite! Check them out below! This is hands-down my favorite marketing podcast to listen to — for a variety of reasons. If Sonia Simone’s awesome voice isn’t enough to keep you interested, the actual content of CopyBlogger FM’s episodes definitely is. I thoroughly enjoy the personalities they feature but also, with the exception of the SaaSter Podcast, this is the podcast that is the most highly specified to what I do: freelance work and content marketing. CopyBloggerFM is for all the content marketers out there; their content covers everything. From copywriting, freelance writing, email marketing, conversion optimization and social media marketing all in a fun, easy-to-listen to format. I highly recommend giving them a listen. Porterfield is energetic and positive — contagiously so. 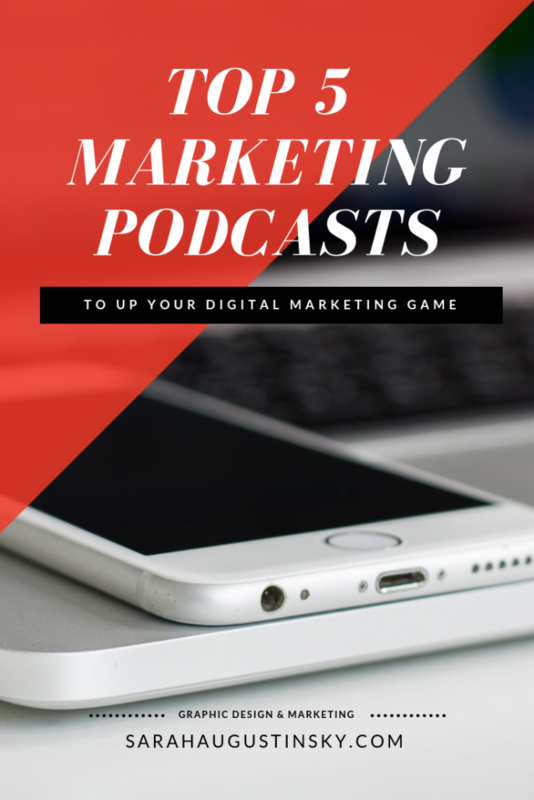 Her podcasts are great for beginners, solo-preneurs or those who are really learning the ropes of digital marketing and are also looking for some motivational content as well. She has tons and tons of podcasts available – making it an amazing resource for people who want to get their hands on a huge variety of information. If you’re looking for the next step up, this is a great place to start. Also, if you’re a seasoned vet or a techie, this is probably the one for you. They cover a huge variety of topics from social media growth, branding, search marketing, etc. There’s also a great variety of guest speakers, which is pretty fun because it feels more like a radio show than a singular podcast contributor like some of the others on this list. If you can get over the incredibly OTT introductory music and Gary’s exuberant delivery, there are lots of tidbits of knowledge and this is a pretty easily digestible and motivating podcast to listen to. He stresses a lot of work-life balance (desperately needed) and also self-awareness (again… desperately needed in this day and age). They’re pretty brief most of the time, which is different and awesome because I can listen to them during my commute. This podcast never fails to get my mind in the right place and pump me up for the day in a short amount of time. SaaS refers to Software-as-a-Service, aka a specific way to sell software and while it’s a pretty niche, I believe that everyone could learn something from this podcast because they cover such a wide scope of topics. If you’re interested in entrepreneurship, company culture, scaling a business, or software, this would be a great podcast for you to tune into every once and a while. What are your favorite podcasts? Leave a comment down below.